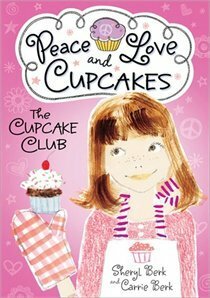 Quiet fourth-grader Kylie Carson is sort of a an outsider--she's constantly bullied by popular girl Meredith and has no friends, until her new drama teacher encourages her to start a cupcake club at school: Cupcakes for a Cause will raise money for the new EcoCenter. Soon, Kylie and other misfits are baking up a storm. This was such a great book. This is book one of the new Cupcake Club Book Series. It's cute, it's girly, it's cupcakes! I read this to my seven year old daughter each night before bed and we just both adored it from beginning to end. She now wants to start a club of her own, which I think is great and perfect for this Summer. This book will definitely make you want a cupcake when you finished it and the we loved that if we wanted to we could make cupcakes because the book comes with a few recipes at the end of the book. Another thing I loved about this book was that it was written by both mother and daughter, which makes it more special. Disclosure: All opinions are my own. I received Peace, Love and Cupcakes at no cost for the purpose of this review. No other compensation was received.